Luke Walker just keeps on keeping on. It’s an old cliche but a very apt one when thinking about Luke. In Luke’s 12th year on the list he continues to find the drive necessary to excel at the elite level. Luke umpired his 250th AFL game in Saturday nights thriller between the Bulldogs and Nth Melbourne. Only games record holder, David Dixon has umpired more finals than Luke and only Reginald Treloar (8) and Anthony Black (7) have officiated in more grand finals. Well done Luke. Congratulations to our other two milestone achievers, Brendan Hosking in his 100th AFL game and first gamer, Hayden Gavine who both stepped out in the St.Kilda v GCS match at Etihad on Sunday. 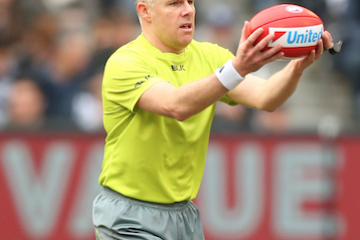 Brendan is now used to the rigours of AFL football, this will be his third game in nine days, Hayden stepped out as the 439th field umpire to take charge of an AFL game. Another significant moment slipped under the radar. 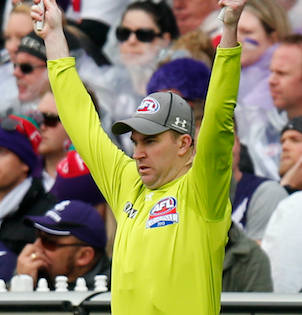 David Rodan who was recently promoted to the goal umpire panel sat as the emergency goal umpire in the same game. David continues to impress the coaches in his VFL matches and so his elevation to the bench must mean he is close to senior selection. 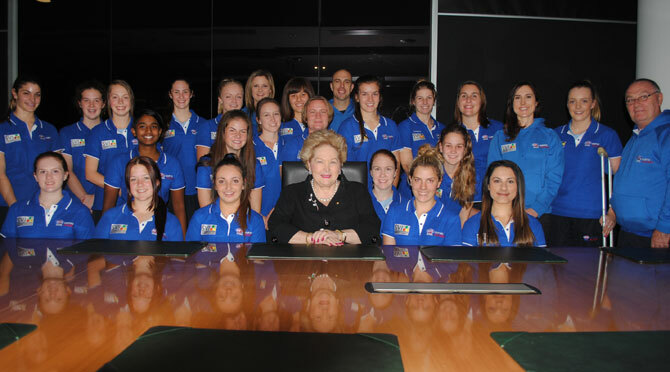 While talking about goal umpiring, I find it interesting that all of the focus has now shifted from the goal umpire to the score reviewer and the decisions they make. Goal review technology has come under scrutiny because of its different configurations at different grounds. Has it been worth the tens of thousands of dollars to implement and operate a system by humans for humans and as such it will always have a level of human error? Fast forward to the shot clock and how loud umpires have to yell to assist players who can’t work out how long 30 seconds is. The AFL just need to put the shot clock on all set kicks for goal regardless of the time of the game if they want rigorous and consistent umpiring. Then the players can clearly see how long left they have to kick. Troy Pannell returned to the AFL panel for the first time in six weeks after recovering from a hamstring injury in round 8. Scott Jeffery came back through the VFL this week, while Chris Kamolins is expected to be ready for a return in the next few weeks. It was also good to see Rose O’Dea back in Melbourne standing at the G in the Collingwood v Pt Adelaide match. There were a few changes to this weekends published appointments with the late withdrawals of Ryan Kukura, Shaun Ryan, Chris Bull and Michael Saunders. Our Fiona McBurney participant this week was David Holowko. David to all reports loved his day and all of our umpires enjoyed his company. I see by the appointments last week we have two new Tom’s on the list. Tom Morrison and Tom Lougoon ran the boundary in the Western Bulldogs v Nth Melbourne match. We close this week on a great weekend of football with some amazing close scores. It was reported in the Age newspaper that this season has already had 16 games decided by three points or less, more than any season since 2007, and we still have 9 rounds to go.